You want a Professional Massage to focus on your Back, Neck and Shoulder? 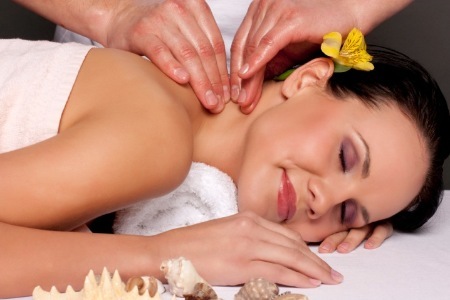 Then, the Back Neck Shoulder Massage in Phuket is for you! One of our experienced massage therapists can provide you with this popular massage among our clientele. At work, you accumulate muscular tension mostly on your upper body parts, that’s where sometimes you need to focus a massage on. Stress, Sedentary occupations, postural problems, hard physical work. Your back, neck and shoulders need some attention. Deep relaxation, improved circulation to nourish tissues. A great massage to treat, heal and prevents aches and pain! Treats concentrated aches and pains, discomfort or tension in the upper body. Will relieve muscular tension and pain in those areas. No more pain in your back, neck or soulders!